Oh, time really fly so fast. Summer is here again and this could only mean three things. One, the weather is hot. Two, the kids would keep whining they want something cold to eat and three, mommies are on the edge - thinking, planning meals for these restless kiddos. But fret not mommies, I have three simple delicious solutions that would surely satisfy your kiddos summer cravings. Thanks to Jolly! 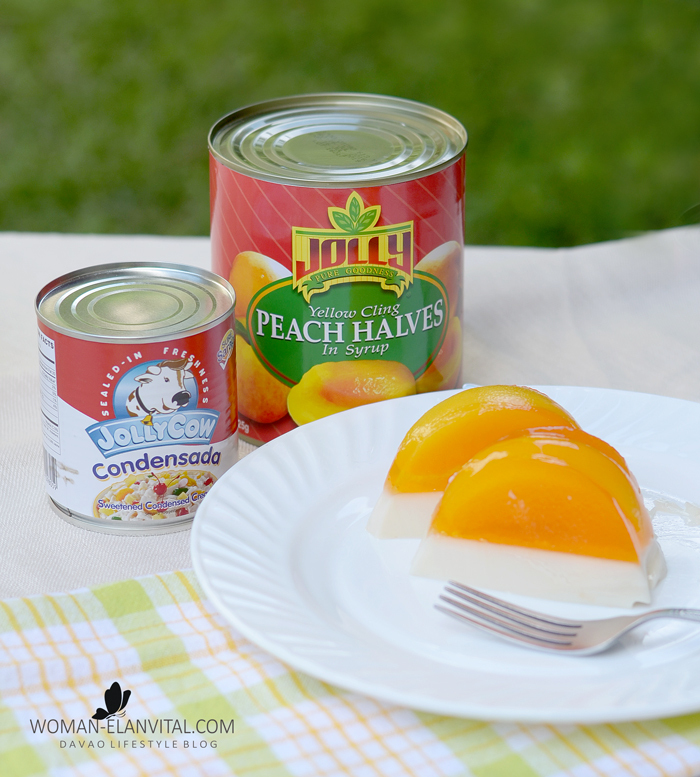 I’m sharing with you three very easy and perfect Jolly delectable treats this summer. 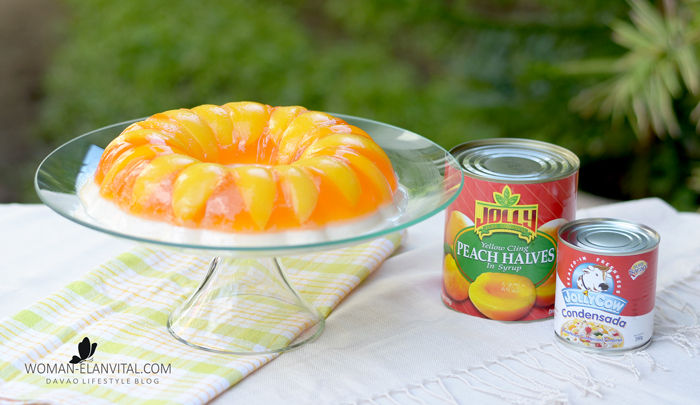 For our first recipe, hail to Jolly Peach Halves! We’re making Jolly Jelly Peaches and Cream. This is one simple recipe that can be done in a heartbeat with no strict procedures to follow. 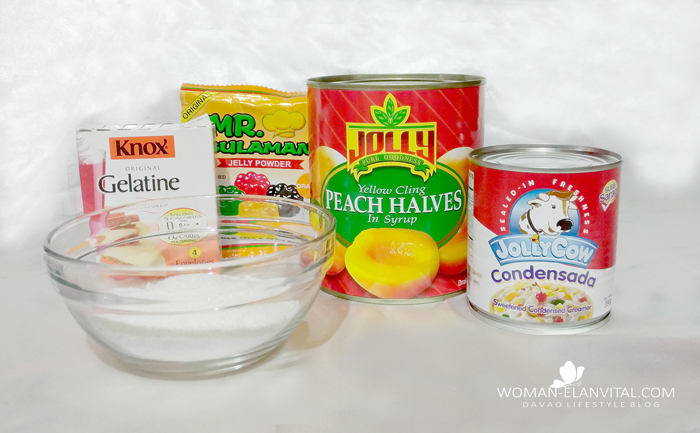 Here are the simple ingredients and steps on how to make this jelly goodness your kids will surely love, Forget about buying jellies from the grocery shelf, let's make our own. 1. 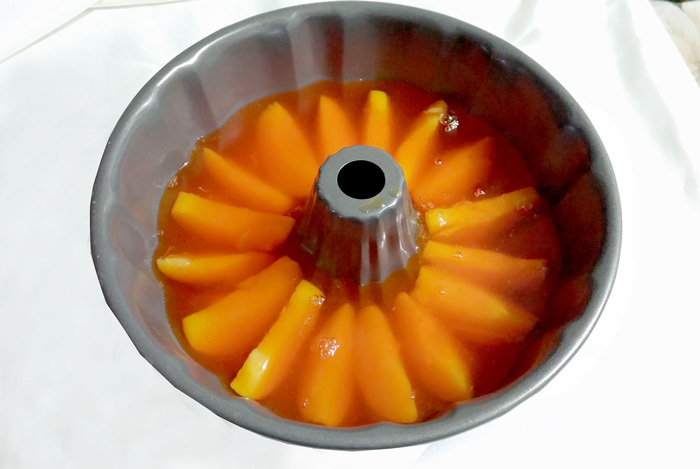 Open your peaches can and divide into four each half of the peach meat. Arrange them with the curve part down in your jelly mold. When done it will look like in the photo below. If you don't have a molder with a hollow mound in the middle, the plain one will do just as fine. Arrange the peaches at the bottom to your liking. 2. Bring to boil 2 cups of water. 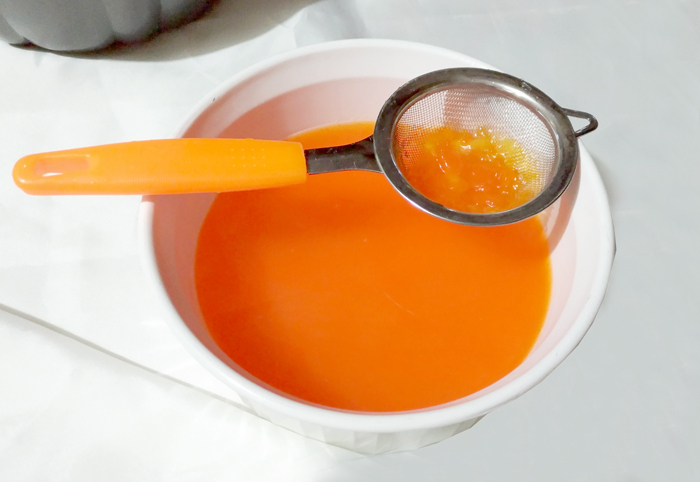 Dissolve your orange gelatin in another half cup of water and put it into your boiling water. Add the peach syrup you saved and add sugar to taste. Reduce fire and stir constantly for another 3-5 minutes to dissolve all lumps. Remove from fire and strain the liquid. 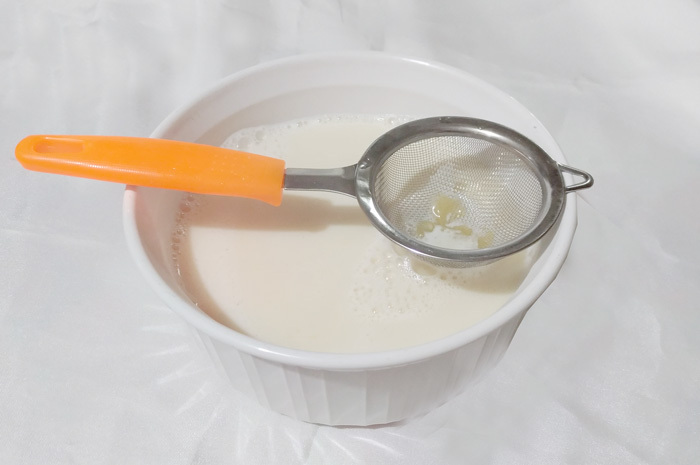 I use a stainless steel strainer as the gelatin mixture is hot. This is to avoid the plastic from melting. 3. Let it cool for 3-5 minutes then pour the mixture slowly into your jelly mold. When done, it will look like this on the photo. Let it cool completely, cover and place it in the refrigerator for at least an hour to harden. 5. Strain your mixture over a stainless strainer and let it cool. 6. Take out the peach gelatin you've set on the fridge and pour the cream mixture. Let it cool completely before putting it back to the fridge. 7. You can prepare this ahead of time when there's an occasion, saves you the hassle. 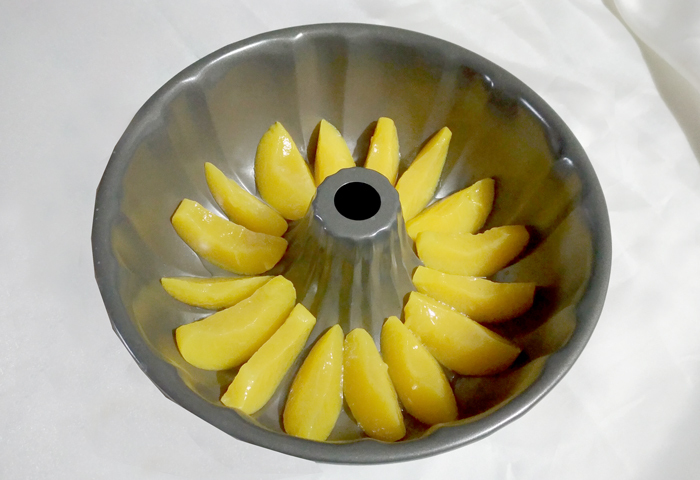 When serving, sit the bottom of your molder over a basin of hot water to loosen it. Cover the molder with your serving tray or plate and turn it upside down. and viola! Your Jolly Peaches and Cream is served. So there we made it! 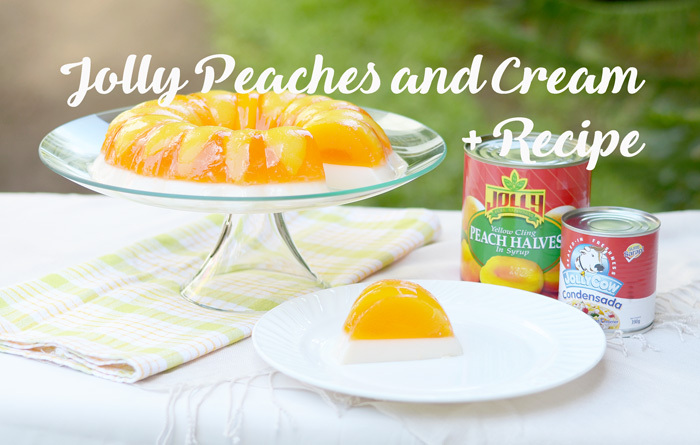 Enjoy your delicious summer peachy and creamy jolly jelly delight! 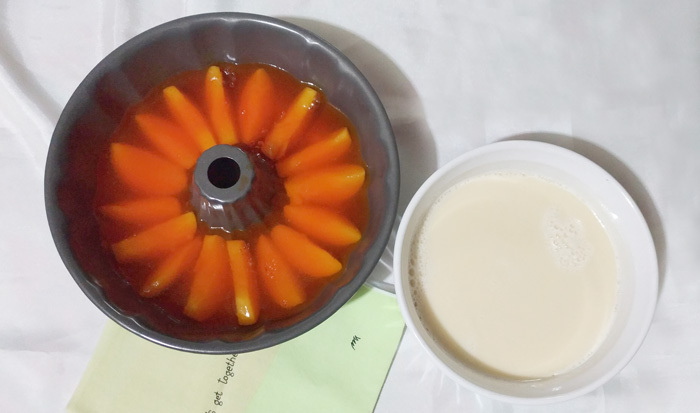 Another Summer Treat I made is JOLLY MAIS CON YELO. A very popular summer cooler here in the Philippines. I'm sharing you easy peasy recipe on the blogposts below, check it out! 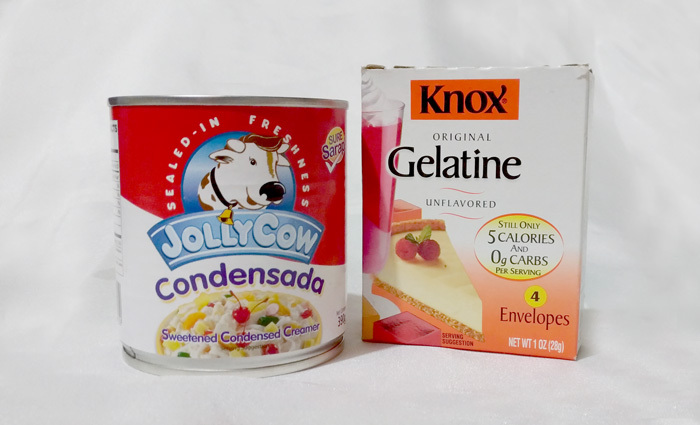 Jolly Peach Halves and Jolly Cow Condensada is distributed by FlyAce Corporation.